For sale, one eco-friendly pied-a-terre. Would suit environmentally-friendly, quite small couple. Looking for a high-tech fishing lodge? 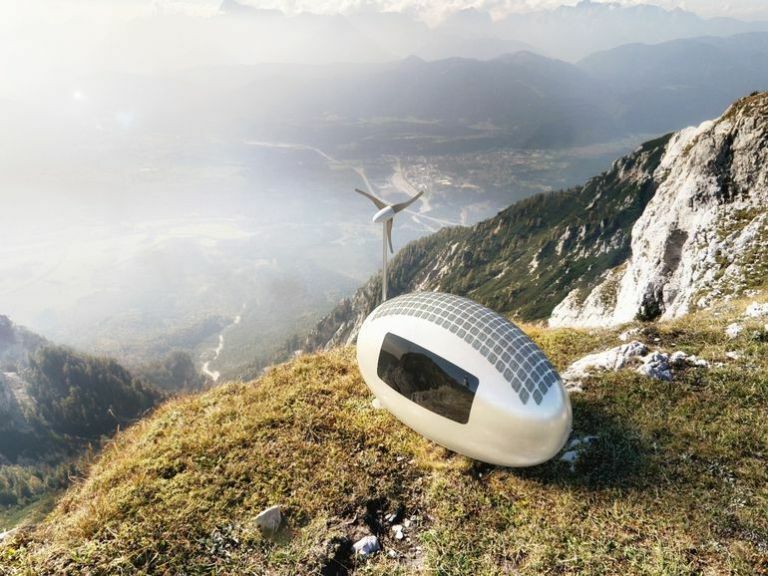 Slovakia's Ecocapsule has everything you need from a home from home, although is it rather compact; measuring 4.5 metres in length, 2.4 metres in width, and 2.5 metres in height. The total usable space is around eight square metres. It's a small space, then, but efficiently used. Inside the capsule there's a folding bed, kitchen, bathroom and work area as well as a couple of windows to air the place. The home can just about fit two adults, so long as you don't eat too much or make sudden movements. The low-energy home is powered by 600W solar panels on its roof as well as a 750W wind turbine. These both charge up its 9700 Watt-hour batteries that can then be used for heat and light. Rainwater is collected from the roof and then filtered and stored in a tank underneath the floor. The Ecocapsule is expected to be available on pre-order by the end of the year with shipping sometime in 2016, although the Nice remains tight-lipped over the price. The first public display of the Ecocapsule will be during the Pioneers Festival in Vienna tomorrow.